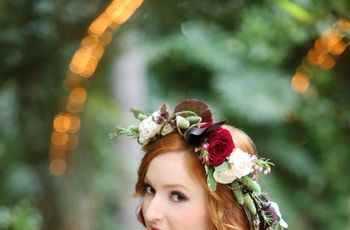 Your wedding day is probably one of the few times in your life when you have an excuse to walk around with fresh flowers in your hair (unless you're a real-life princess, and in that case, where do we sign up?). 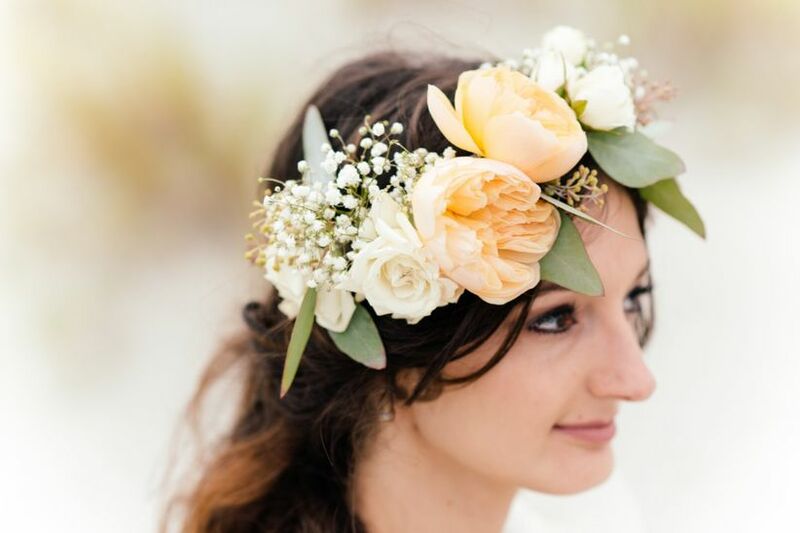 From show-stopping floral crowns to delicate sprigs of baby's breath, there are so many different ways to incorporate fresh blooms into your wedding day hairstyle. 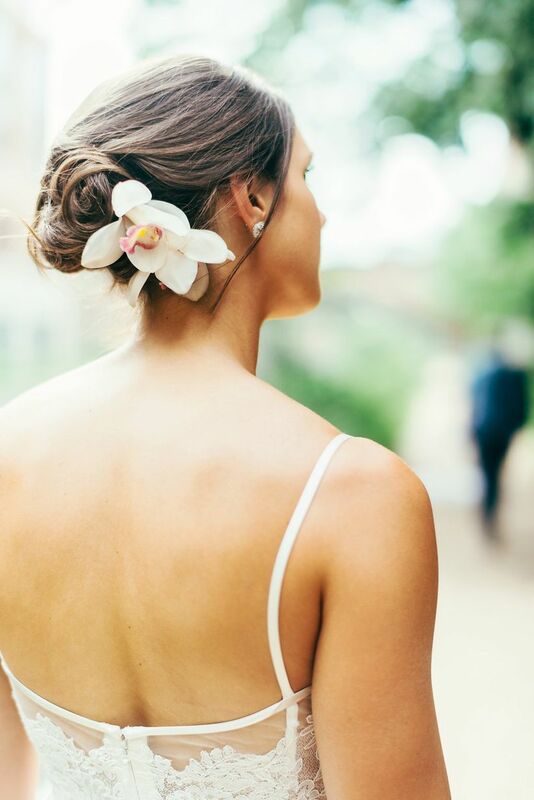 A classic chignon never goes out of style. 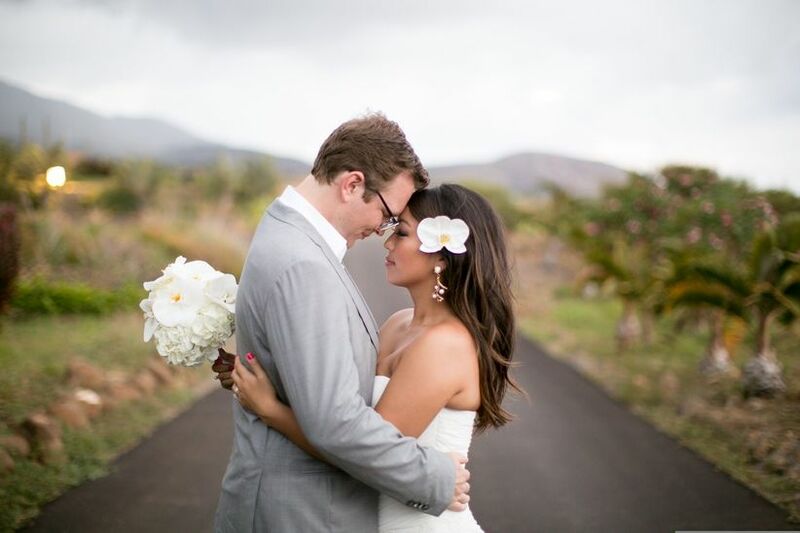 The white freesias definitely add a romantic and fragrant touch to this traditional look. 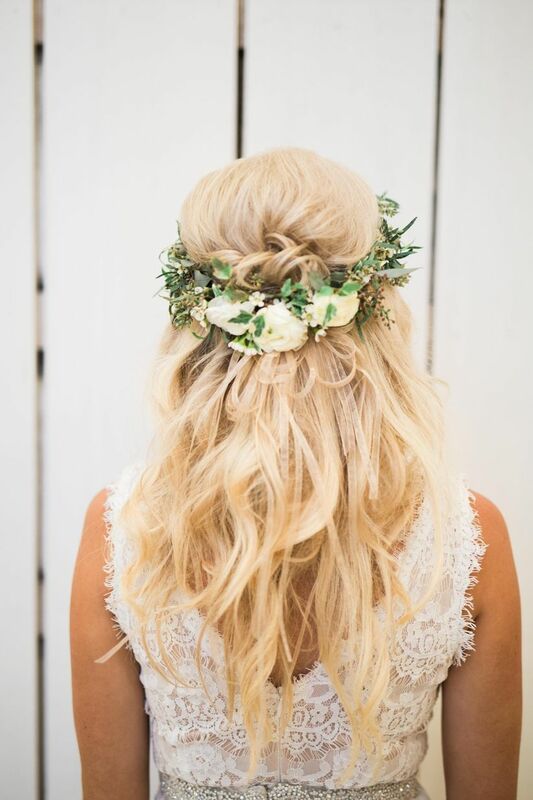 This blonde-haired beauty accented her loose waves with a simple halo of white blossoms and greenery. 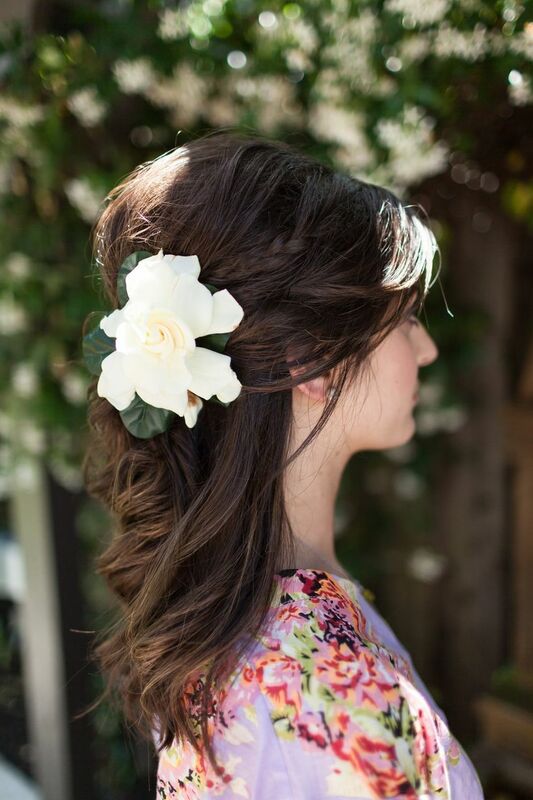 Show off a short 'do with curls and a cluster of blooms. 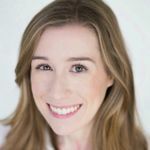 Getting hitched in the summer? 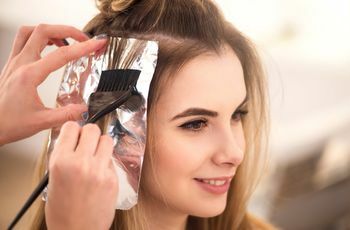 Sweep your hair into a simple loose updo to keep your tresses out of the way. A fresh orchid (or two) adds the perfect finishing touch. 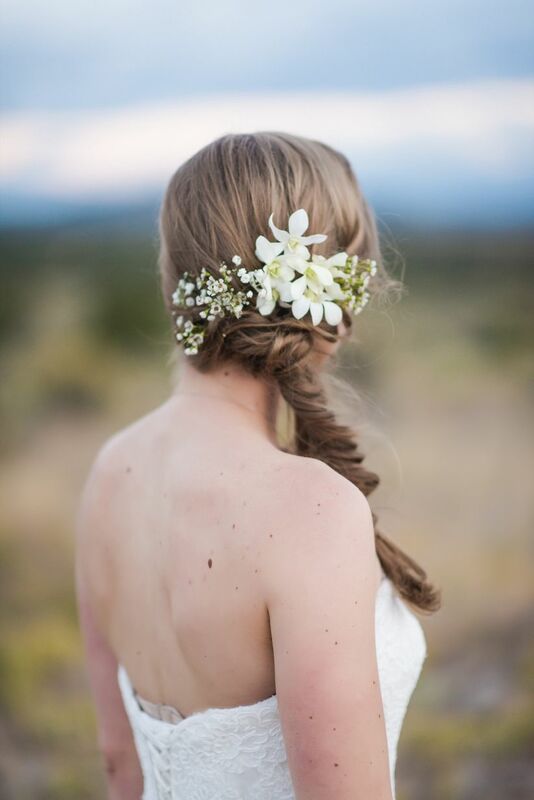 Wedding hairstyles with flowers aren't just for warm weather soirées. 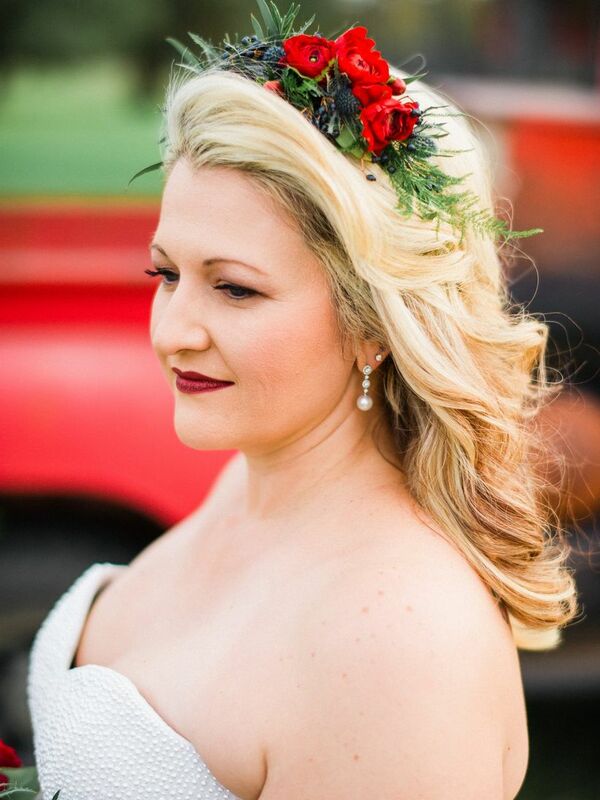 This red, green and blue combination would look stunning at a winter wedding. 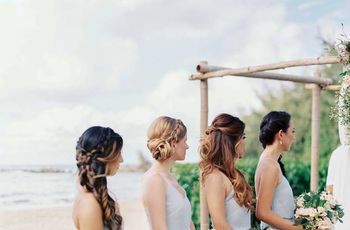 We love a good fishtail braid, and these white orchids take the look to the next level. Boho babes, this one is for you! 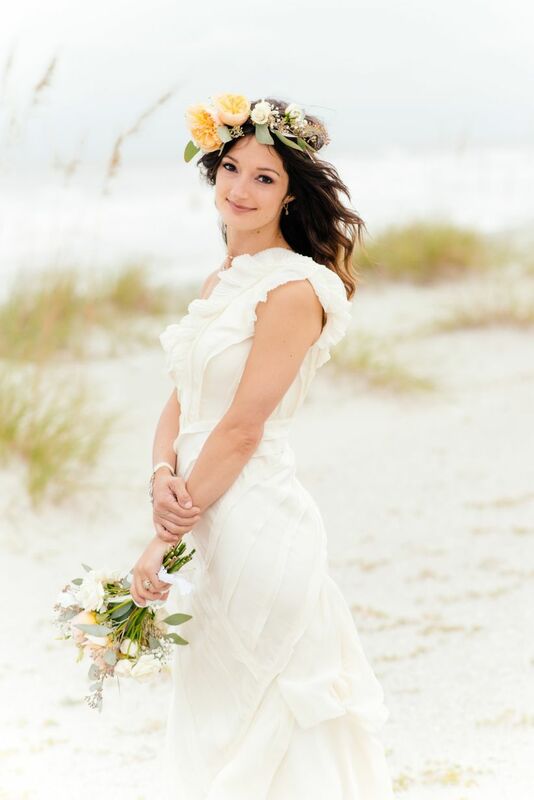 A crown of pale yellow garden roses is beautifully beachy. 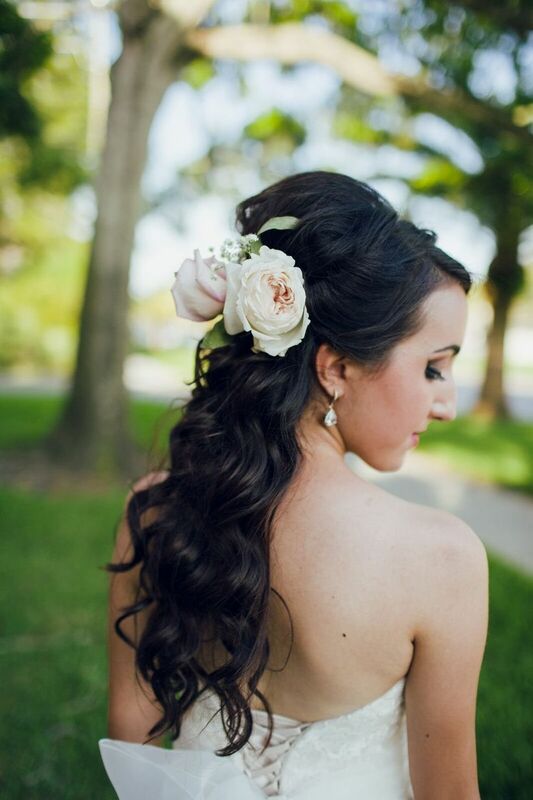 To get this gorgeous half-up look, add a barely there braid and finish the style with a single white gardenia. Voilà! Sometimes, all you need is one stunning flower! 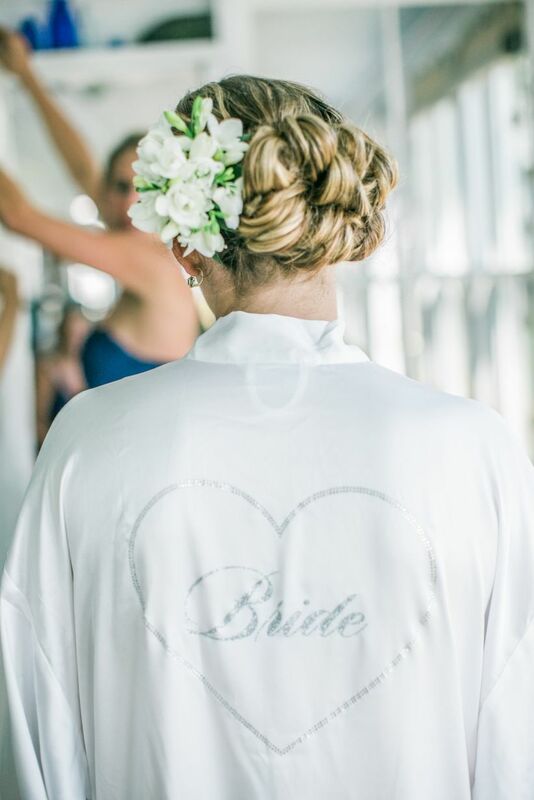 From the soft pink flowers in her hair to the lace illusion wedding dress, we're loving everything about this bride's romantic look. 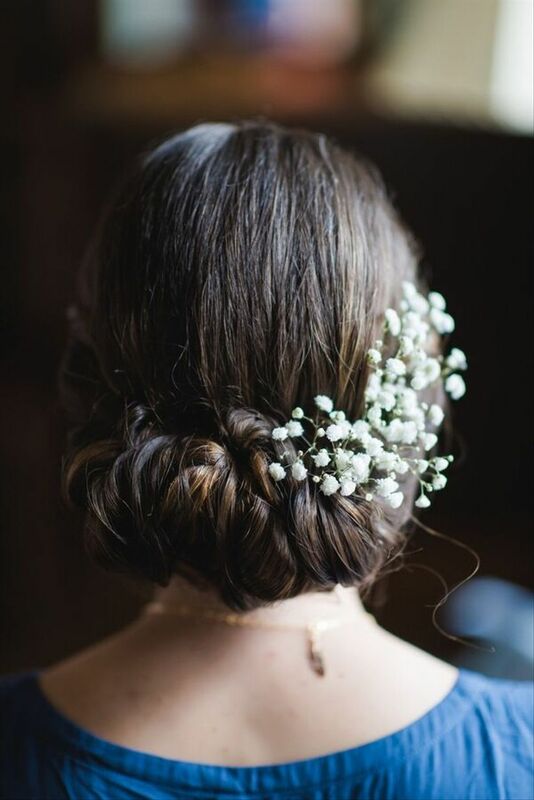 Whether your wedding style is rustic, bohemian, classic, or vintage, this baby's breath updo is a sweet and understated option. 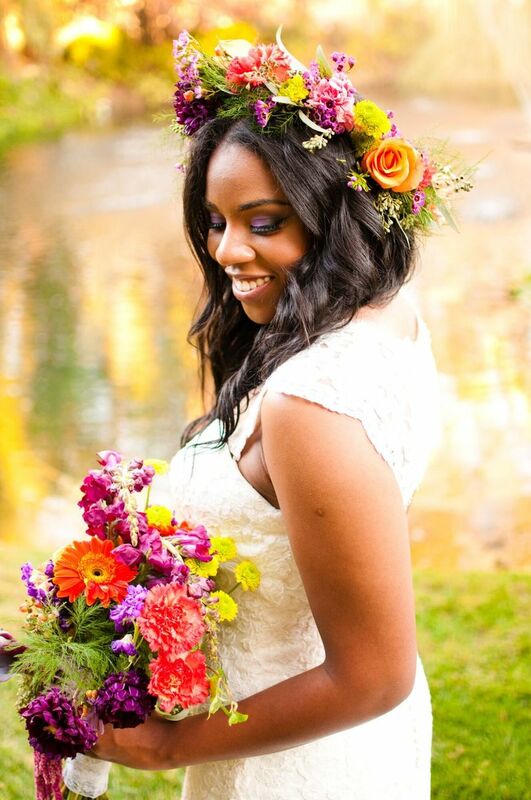 Don't be afraid to play around with bright colors to match your wedding style! 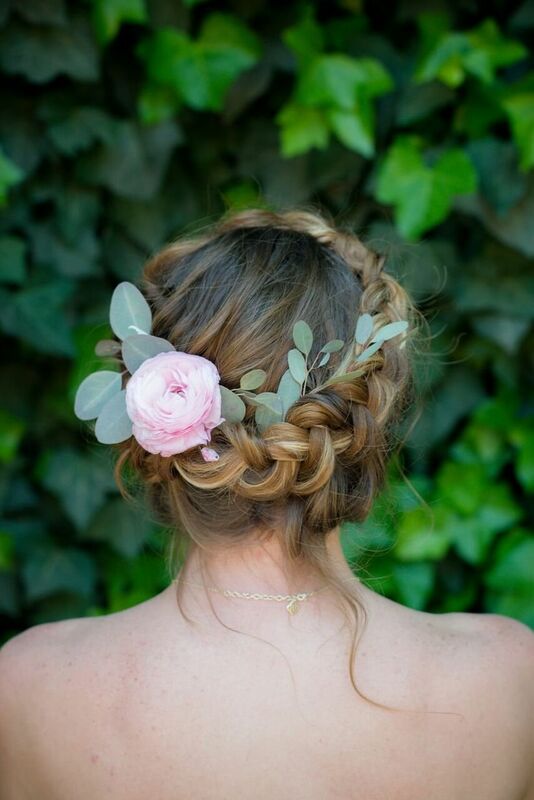 Transform a French braid updo into a princess-worthy look with pink spray roses. 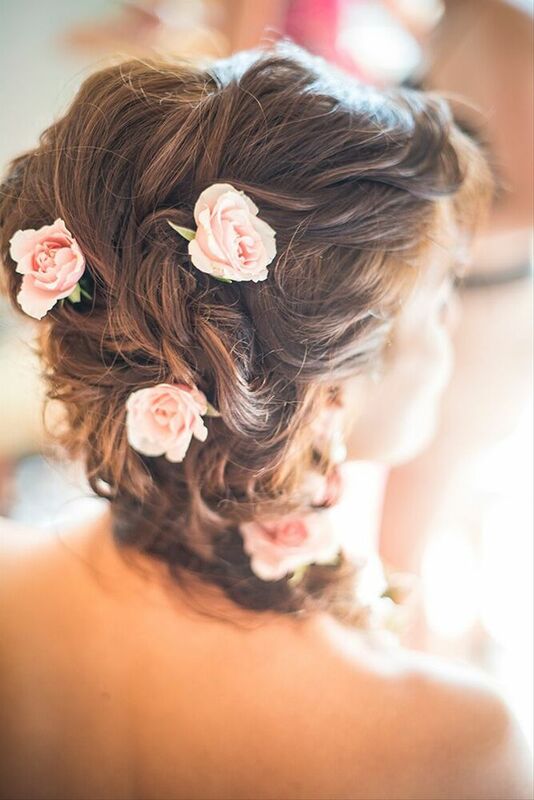 When it comes to wedding hairstyles with flowers, is there anything more romantic than garden roses and long, loose curls? 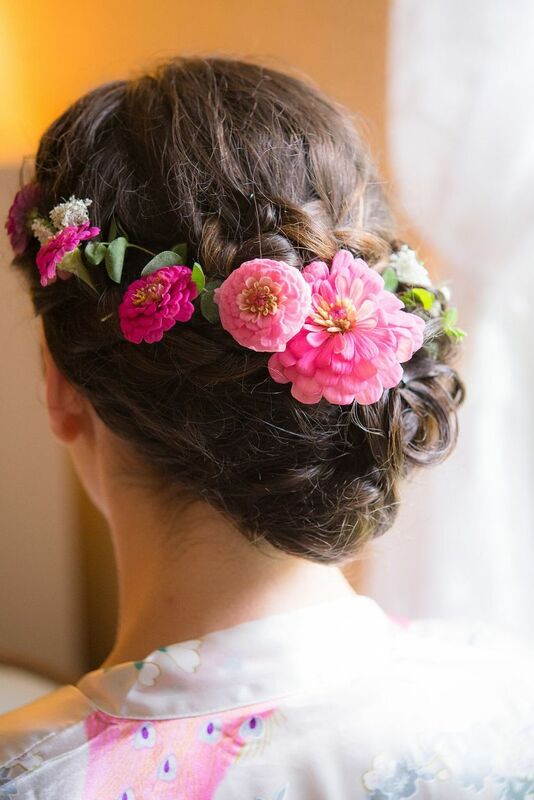 We're loving how these bright pink zinnias stand out against the bride's dark brown locks. 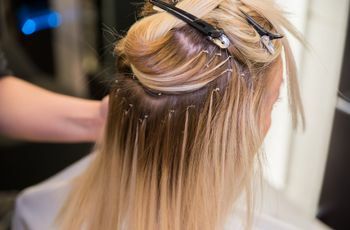 The trick to nailing this braided style is to leave it slightly tousled. 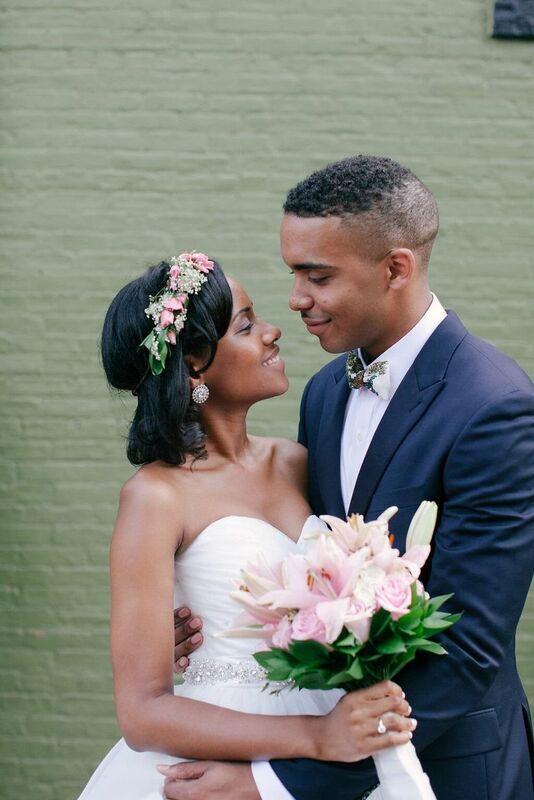 A pink ranunculus and fresh eucalyptus leaves tie the look together.